Hi Odette, it's me again. I have a huge question about the credibility of my current dance studio. I have been doing pointe for a year at this dance studio. I don't particaurly believe they know what they are doing. We were told to not wear ribbons on pointe shoes, to switch left and right shoes, we are not allowd to change toe pad till they have holes in them, we're not allowed to use toe tape, and required to wear the lambs wool. In March I went to a pointe shoe fitter, who told me every thing completely opposite. The thing is this man knows what he's doing, he's been fitting pointe shoes for almost 30 years. My ballet teacher isn't even 30. Since then I have been using ouch pouches, and using toe tape on my blisters, I've also been wearing ribbons and have a definite left and right shoe. We were told by the ballet teacher if she found us using lambs wool, and not switching shoes, we'd be kicked out of pointe. I can't use lambs wool, because I have sensitive feet, and can't deal with the thinness of them. I don't whant to injure myself, because of my teachers mistakes! What should I do???? Thank you for your message, I'm pleased you are keeping in touch. Of course, I understand your situation and it reminds me of my own time as a young ballet student. I know how you are feeling and I hope to calm your worries. wear animal wool for the first few years and in fact, I would have loved to pursue it as I really do think you can feel your footwork much better with animal wool. However, my toes could just not take it. It was unbearable for me to releve onto pointe with only animal wool, especially because my big toe is longer so it takes most of the pressure. Anyway, despite our teacher's strict rules most of us did eventually turn to ouch pouches in the last few years. Of course, we were not allowed and I remember very clearly feeling scared incase my teacher caught me. I'm not advising you to go against the rules since it sounds like there are consequences, like being taken off pointe. Looking back now, I would try and take the mature approach and talk to your teacher. 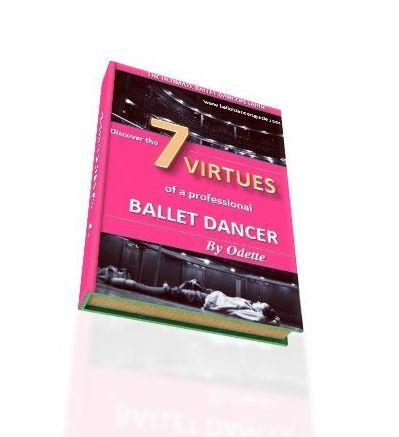 In by new series of eBooks, "7 Virtues of a Professional Ballet Dancer", I discuss in "Virtue 5: Support" babout making friends with your teacher and why you mustn't be scared to talk to her. You must trust your instincts on this. It's not worth causing a huge fuss at your dance studio, but you are allowed to have a voice and if you don't understand their methods then do your best to respect their ways but perhaps try discussing it with them. I actually have occasionally swapped left and right feet with my pointe shoes. It was my own decision and did it purely because my right shoe tends to go more soft than the left, so I switch them over to even it out again. My dad always used to say "Bend the rules but don't break them". Keep this in mind and take a look at my eBook, particularly "Virtue 5: Support" . Each Virtue is just $2.99 and I give all the necessary advice which is not possible to give you in one reply! !